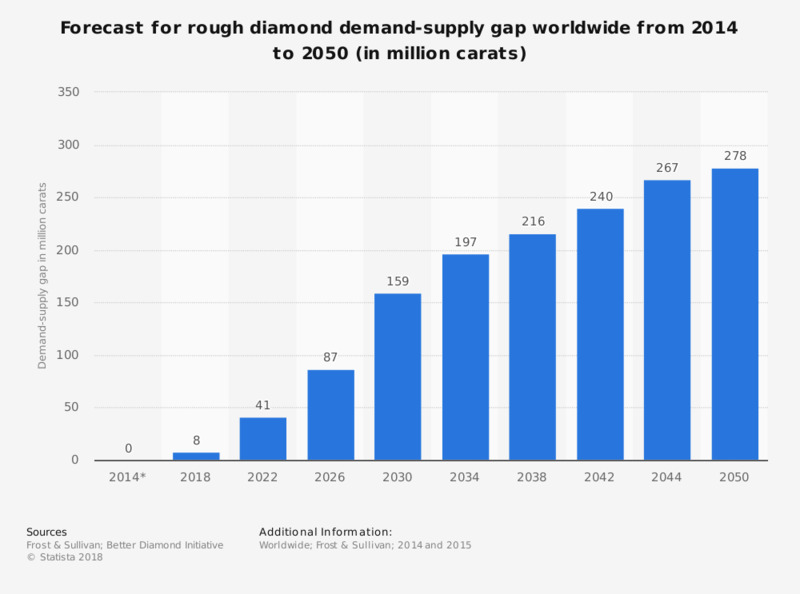 This statistic displays the forecast rough diamond demand-supply gap (rough diamond demand vs. mined diamond supply) worldwide from 2014 to 2050. It is forecast that by 2050, the global demand-supply shortfall of rough diamonds will be 278 million carats, a notable increase from a non-existent demand-supply gap in 2014. This predicted shortfall is expected to cause an increase in diamond prices. * 2014 figure is actual rather than a forecast. Everything On "Diamond industry" in One Document: Edited and Divided into Handy Chapters. Including Detailed References.